Not too long ago, BlackBerry officially unveiled the BlackBerry Classic, but it seems the Canadian OEM is working on more handsets which will see the light of the day in the coming months. Recently, some images of the upcoming BlackBerry Z20 codenamed Rio made it to the internet, along with a list of specifications it will bring at the table. 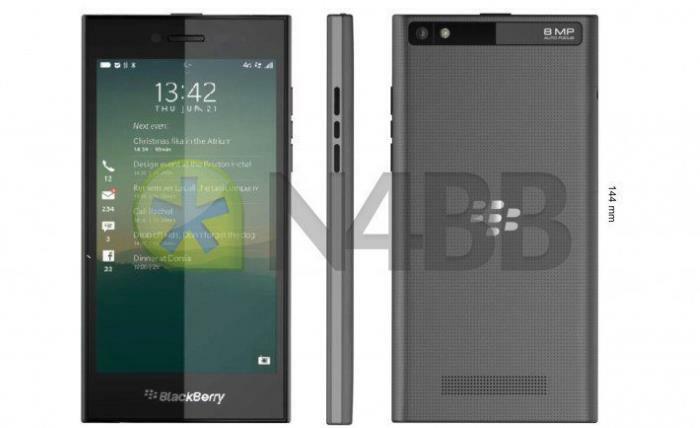 In case you can’t recall, we’ve heard about the alleged BlackBerry Rio before as well. The alleged device features an all-touch 5-inch display sporting a resolution of 1280 by 720 pixels, and is powered by a dual-core Snapdragon S4 processor clocked at 1.5GHz paired with 2GB of RAM and 16GB of storage coupled with a microSD card slot for expansion. The purported handset is 9.5mm thick and features an 8MP camera for photos and videos, 2MP front-facing camera and a non-removable 2,800 mAh battery to make sure there’s enough juice for the handset. Connectivity-wise, it features penta-band LTE, Wi-Fi b/g/n, and Bluetooth 4.0 with DLNA and Miracast. Blackberry Rio Z20 is expected to see the light of the day in February 2015, but there’s no word about the pricing. If the company manages to price it properly, there’s a possibility that it will sell well.